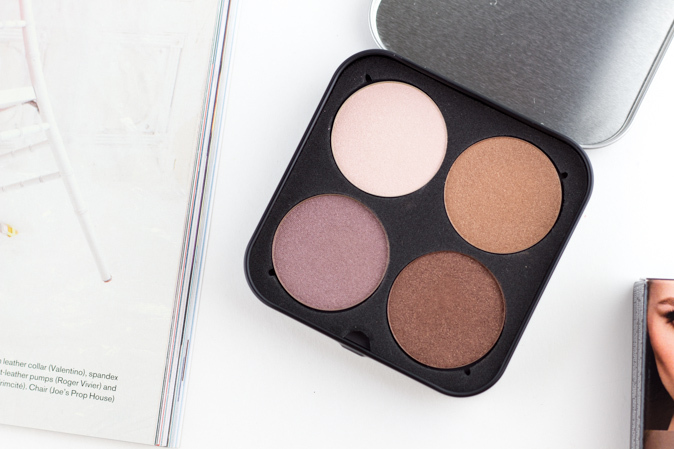 This gorgeous limited edition eyeshadow palette is one of two to kick off the "Be Bold. Be Unexpected. Be You" campaign in collaboration with actress/fashion blogger Jamie Chung, transgender fashion model Andreja Pejic, and makeup artist Melanie Inglessis. The campaign aims to promote individuality and self-expression. 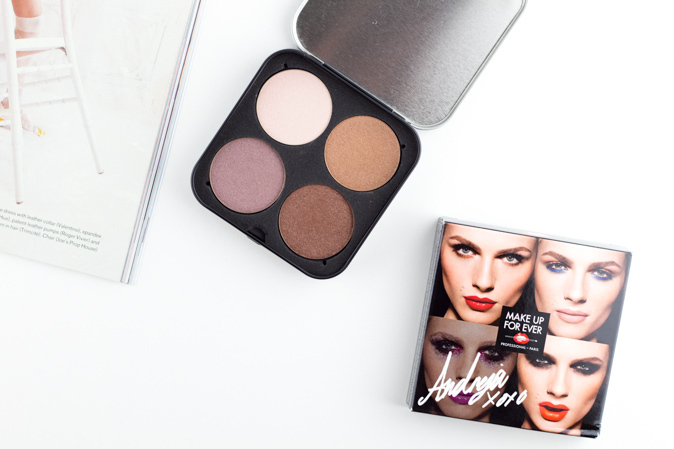 The palette I have here includes 4 colours carefully chosen out of 200 by Andreja Pejic. I am simply in love with the neutral mauve-brown shades chosen because they are easy to wear on a daily basis and super easy to blend. 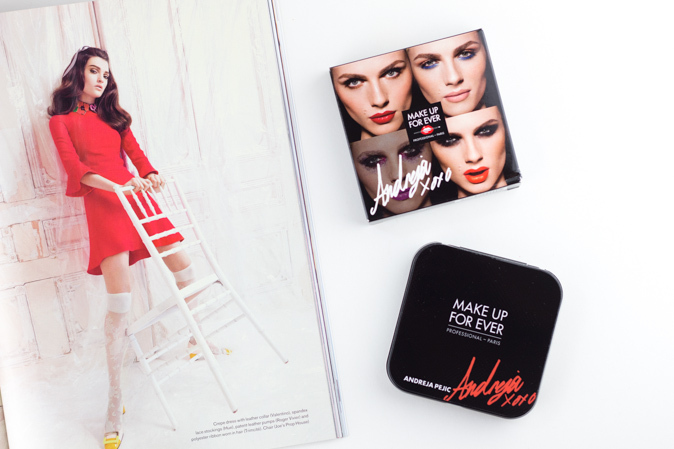 The box has a fun look to it and features 4 creative looks created by Melanie Inglessis on model Andreja Pejic. The actual casing of the palette is a little tin box that snaps closed. It is quite simple, a little boring, but it is magnetic and the shadows are interchangeable. 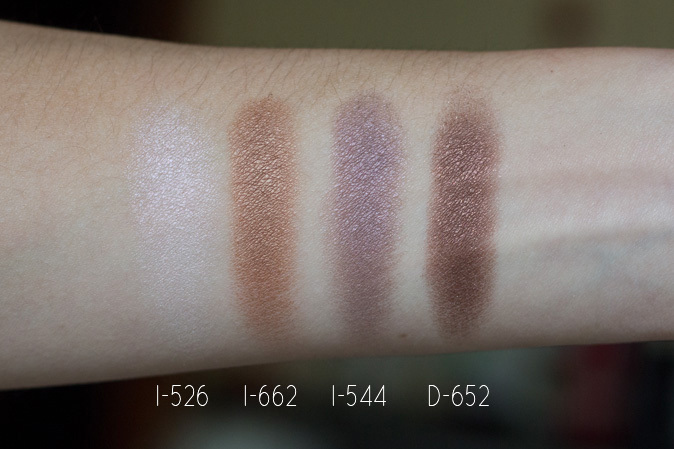 The 4 shadows included in the Andreja Pejic Palette are I-526, I-662, I-544, D-652. The shadows themselves are not limited edition but being able to buy them in a quad palette for $56 ($111 value). Make Up For Ever doesn't name their shadows on the packaging (hate this) but they do on their website. So I did a little research and included the shadow names below as well. I've tried Make Up For Ever's Matte Shadows before but I find these 2 finishes a lot easier to blend. They are as smooth as butter and of course the pigmentation doesn't disappoint. They work together so well and I've included 2 looks below using the shadows. Discover the campaign hashtag #BeMakeUpForEver and express what a bold and unexpected look means to you. 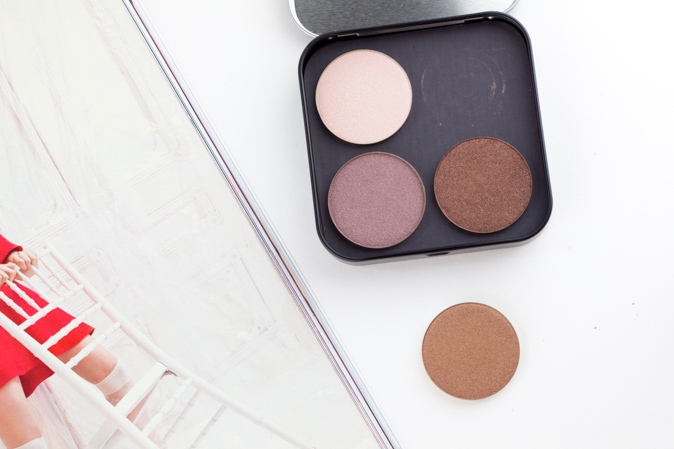 (Tip: Check out @JamieJChung Instagram to enter to win a custom palette + $500 worth of MUFE products). Unfortunately, I believe the Andreja Pejic Palette just recently sold out online, but it hopefully can be found in stores. The Andreja and Jamie Chung palettes are limited stock and retailing for $56 CAD in Sephora stores and online.